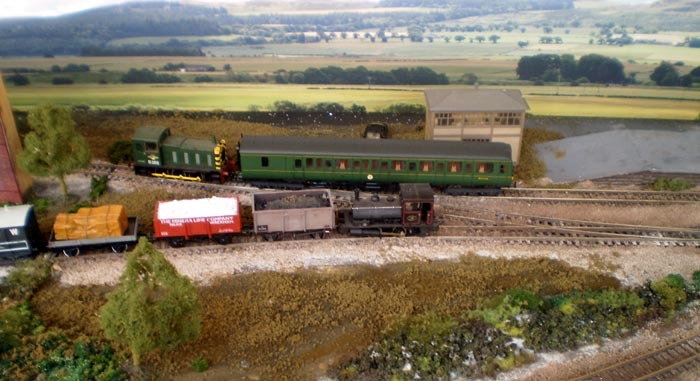 Above: Diesel shunter propels a 117 driving car along into the station, just like the Cambrian Heritage Railways do! 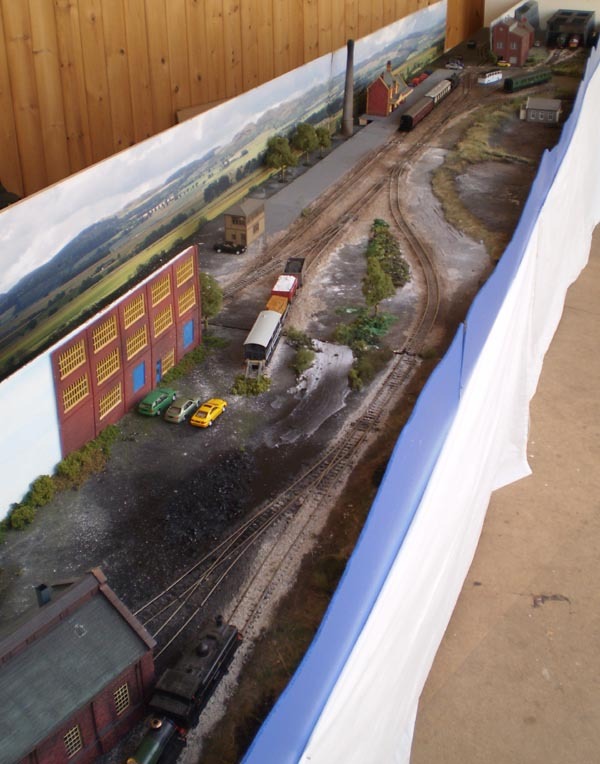 In 2010, I was invited to exhibit one of my layouts at the Gloucestershire Warwickshire Railway's 150 celebrations at the delightful station at Winchcombe and the Berwyn Preserved Railway was decided as the mosty suitable as it was basically an ex-GWR/LMS railway running suitable stock and was more or less completed. After some long days and nights finishing it off, it was loaded into my Toyota Surf and we headed for Winchcombe. Unfortunately, for me it was one of the hottest week of the year and the heat in the room was such thet the controllers kept tripping and not many people (including me) could stand the heat for a great deal of time! - so much of the time the visitors and myself spend a lot of the time out of the room discussing the weather! 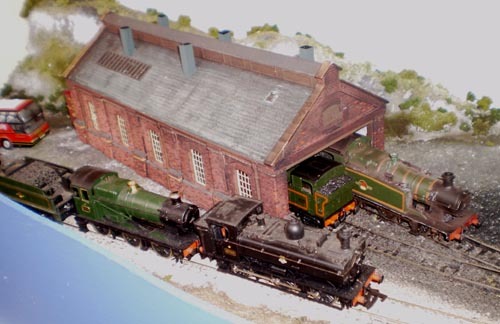 - and watch the steam engines go past.